How to cut and effect video for Windows 8 7 xp on PC? Why do we need to cut video after effect? Edited cut out effect video by idoo Video Editor, although the quality of the video would not be reduced, they may still fail to meet our needs. The edited videos may be looked unnatural, or video cut effect is not satisfied, so we have to adjust the brightness, contrast or saturation, video cut sound effect, or add special effects to the video, to get satisfying video or audio for YouTube and other media devices. How to cut split video for YouTube on Windows ? 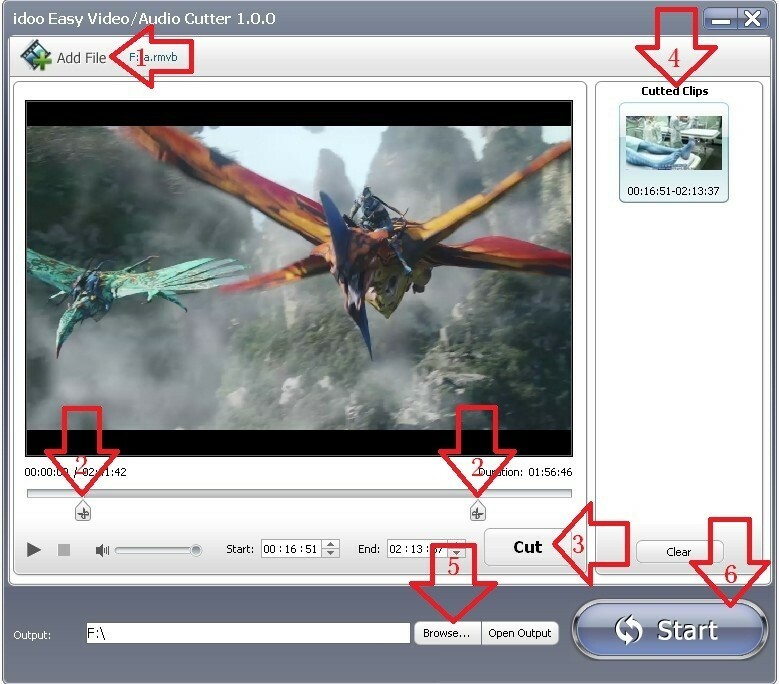 The video cutting function of idoo Video Editor has three aspects, and the splitting function is also very useful, which can basically fit users’ needs. You can convert the format of files after cutting or splitting. what would you like to cut spilt ends video ? Please pay attention to the differences between “cut” and “split”. 1Click “Add File” (Arrow 1) to choose the video/audio file. 2Drag the sliders (Arrow 2) to select the video/audio section to cut or trim. Click “Cut” (Arrow 3) to get a file for preview (Arrow 4). You can repeat the steps above to generate more than one preview files. 3Click “Browse...” (Arrow 5) to decide the save path. 4Click “Start” (Arrow 6) to begin cutting and sAVIng the output at the same time. Please see picture above. Article Resources Related To 4K Video Editing And Converting Issues(2019) Seven Secrets About Convert 4K Video To Other Formats The Easier Way To Convert 4K Video To 1080P With High Quality How to edit your videos use idoo editing software? idoo Editor's Tech specs and reference How to cut and trim videos? What Can I Do for you, iPhone 5 and iPhone 5S? how to cut wmv video? how to cut MP4 video? how to cut mov files? how to cut video clips? how to cut split video for YouTube? how to cut and effect video? how to easily cut AVI video? how to cut 3GP? How to convert and split video for MAC? How to split audio from video? How to split AVI video? 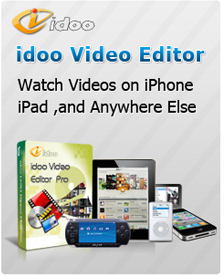 How to split movie by idoo video editor? How to split MP4 video files according to the time span? How to cut video and join after effects on Windows ? How to join video files clips together for Windows pc ? How to easy split video files into parts for YouTube... ? How to simple crop video for YouTube... ? How to effect video background clip with... ? How to add subtitles to movie MP4 AVI YouTube... ?